Much had already been said (including here at Batpig & me) about the highly-anticipated Sketchers commercial featuring Mr. Quiggly- the fast-running, moon-walking French Bulldog who will grace televisions across the country in tonight’s Super Bowl! And, to no great surprise, (free advertising for them!) you can check the full ad out right now! 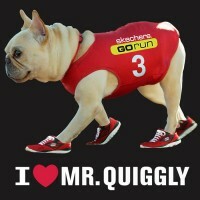 There’s already a facebook page dedicated to Mr. Quiggly (I *heart* Mr. Quiggly). And, while I certainly won’t be going out to get Sketchers for the batpig, the ad campaign has certainly generated all the attention its creators could have hoped for! 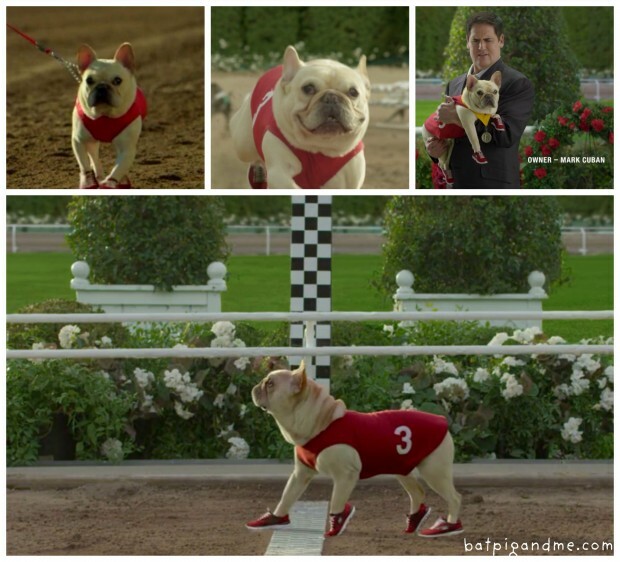 We’ve pulled together some of our favorite screen-shots of Mr. Quiggly making his way to the track, running his little Frenchie heart out, and busting a move on the finish line (only to land in Mark Cuban’s arms) so enjoy the sneak peeks below!